Determined to ensure its young viewers grow up healthy enough to create more young viewers to sustain its franchises, Disney’s Bob Iger has announced that the studio will extend its policy on banning depictions of smoking to all of the youth-targeted movies under its banner. Iger issued the announcement during a shareholder Q&A in response to a critical care nurse, who cited a 2012 report linking children who witnessed smoking in movies and TV, then started doing it themselves. Iger agreed that the company would refrain from those depictions, allowing children to make their own, uninfluenced choices about the rich, satisfying flavor of tobacco. The policy now also extends to cover Disney’s Marvel and Lucasfilm properties rated PG-13 and below, ensuring that no Marvel character will unwind after a supervillain’s casual slaughter by lighting up in front of impressionable kids. 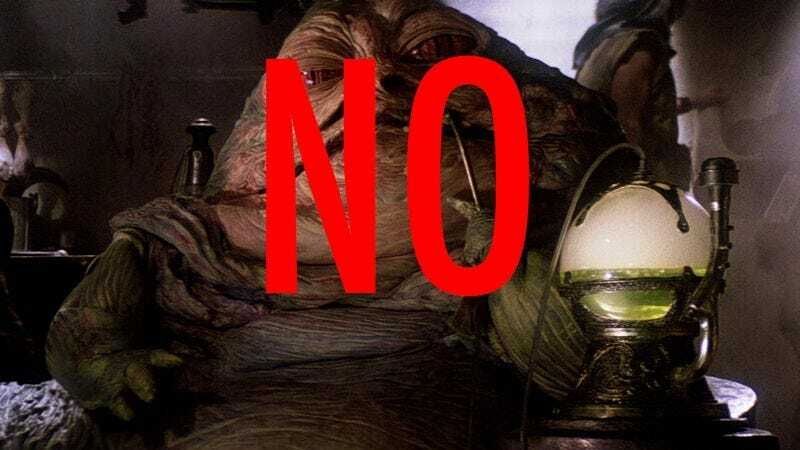 Nor will Star Wars characters be allowed to vape their laser-cigs, or whatever they are. You know what I’m talking about. Everyone has those laser-cigs now. From here on, there will be only one exception: “Except when we are depicting a historical figure who may have smoked at the time,” Iger clarified. “For instance, we’ve been doing a movie on Abraham Lincoln, he was a smoker, and we would consider that acceptable.” Fortunately, no kid has ever looked up to Abraham Lincoln.